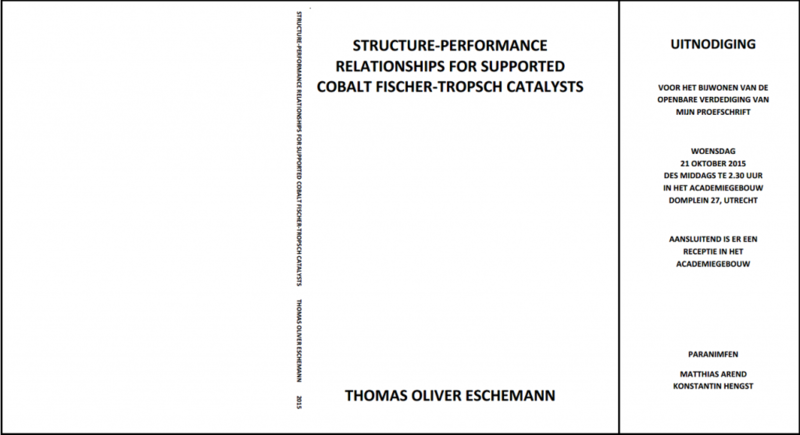 Thomas Eschemann will defend his dissertation, entitled ‘Structure-Performance Relationships for Supported Cobalt Fischer-Tropsch Catalysts’. Date and Time: Wednesday, October 21, 2015 at 02:30 PM. Thomas Eschemann started in May this year as Application Engineer at BASF Catalysts (Hannover, Germany).